Kooltronic has expanded its line of filter fans to include models offering the versatility and security of indoor or outdoor use. These new additions to the Advantage Series Filter Fans have a NEMA 3R Rating and are a perfect choice for dissipating high heat loads economically. These filter fans are also available in a variety of sizes, voltages and protection levels. 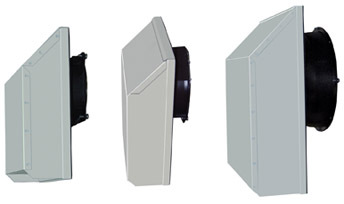 The new Advantage Sentry Series Indoor/Outdoor Filter Fans offer the same convenience, versatility and reliability as the Advantage Series Filter Fans with the added protection of a NEMA 3R rating, making these models an excellent choice for the telecommunications and the food service industry.